With an ever-growing preference for convenience and instant feedback, it is no wonder that artificial intelligence is gaining more ground in the area of mental and behavioral health care. According to the National Institute of Mental Health (NIMH), major depression is one of the most commonly diagnosed mental health issues in the United States. In 2016, among adults identified as having had at least one major depressive episode, only 63 percent received any kind of treatment. The numbers are even more concerning when looking at major depression in teens. According to the Substance Abuse and Mental Health Service Administration (SAMHSA), of the teens identified as having had at least one major depressive episode, only 40 percent received treatment of any kind. When looking at these numbers, and considering how many teens and adults are struggling with depression and not receiving any help, it prompts us to consider alternative ways to reach people and provide the help that is so critically needed. There are several potential benefits to using artificial intelligence for depression, as we'll outline below. Schedules are hectic and time is of the essence. Multitasking is the norm and we are often looking for ways to maximize our time. Looking at convenient options for our self-care and emotional wellness is no different. Traditional outpatient counseling typically involves making an appointment once or twice per week to visit your therapist for a 50 minute session each time. You try to find an available appointment time that works with your scheduling needs and hope to get that needed time off from work to attend sessions on a consistent basis. Commuting to and from the counseling office can take another hour, or more, depending on how close therapy resources are to where you work and live. The use of artificial intelligence has helped create platforms and apps that are easily accessed from a smart phone or tablet. Having available help right in your purse or pocket is about as convenient as we can expect. Many of these mental health apps and programs are available at minimal cost, some even available for free, and accessible 24 hours a day. The ability to access mental wellness resources that are convenient and low cost is a significant benefit of using artificial intelligence based programs. In the field of mental health, it is known that one of the most likely predictors of a positive counseling experience is the rapport developed between a client and their counselor. We build relationships with each other, establishing trust and creating a safe space for people to express challenging emotions and discuss difficult experiences. Connection is key in this process of healing. Those who develop artificial intelligence based programs work diligently, using extraordinary amounts of data, to create a similar space that allows people to feel connected and understood. In addition to the felt sense of emotional connection, artificial intelligence connects people with needed services who may otherwise not be able to access help. Mental health services tend to be limited within more rural or remote areas, making it difficult for people to find someone to reach out to for counseling or therapy. According to the Kaiser Family Foundation, it is estimated that over 106 million people in the United States live in areas referred to as Health Care Professional Shortage Areas (HPSAs). The ability to access and use mental health resources that are designed using artificial intelligence can be a lifeline of hope for people in areas where there is little to no help available. As much as we are wired for connection and may recognize the benefits of personal counseling and therapy when challenged with depression, there are sometimes obstacles that get in the way of us seeking the help we need. Although the stigma of reaching out for help or participating in counseling has certainly decreased over the years, some people still find it difficult to reach out for help. The use of mobile apps and artificial intelligence platforms allows for people to receive mental health services in the safety of their personal living space. You don't have to worry about others knowing you are participating or fear crossing paths with someone you know on the way to or from the counseling office. Much of what would be discussed in counseling for depression involves emotional hurt, painful experiences and fear, topics and information that can leave us feeling vulnerable. The idea of discussing these things anonymously through a screen can feel much less intimidating than speaking with someone face to face. Being able to maintain our privacy while talking about difficult things in the comfort of our personal space, and doing all of this at our convenience, can be very appealing. Mental wellness resources using artificial intelligence allow for this to be available to us. Many of the obstacles that might prevent people from seeking and receiving help for depression are removed, or at least minimized, by artificial intelligence based programs available. The research and development of these resources is astounding, ever growing and improving. However, it is critically important to note that these technology based resources using artificial intelligence are not intended to replace clinical treatment of depression or any other mental health issue. What AI Resources Are Available? Below are some examples artificial intelligence based technology that can be used to help fight depression. WoeBot launched in the summer of 2017 and is referred to as an automated conversational agent, also known as a chatbot. It is designed to offer convenient care to those struggling with depression by mimicking human conversation, offering self-help related guidance and companionship to its users. The program can share with you information and resources, such as videos and exercises, based on what it thinks you are needing at that time. WoeBot can be used anonymously on iPhones and iPads and you can also chat with it through Facebook Messenger. The basis of WoeBot is designed with influence from cognitive behavioral therapy (CBT), a therapeutic framework that works to help people change their unhelpful thinking and behaviors, ideally leading to improved mood and decision making. As you continue to chat with WoeBot, it collects data through natural language processing (NLP) and uses this information to get to know you better. The collected information allows for the program to more accurately detect and meet your emotional needs at a given time, offering personalized resources, self-help guidance, information and support related to your concerns. Wysa is described on the company site as an artificial intelligence-based, "emotionally intelligent" bot that is able to "help you manage your emotions and thoughts." Just like WoeBot, Wysa is designed with influences from CBT to help you challenge and change unhelpful thoughts and behaviors. In addition to CBT, Wysa incorporates additional influence from dialectical behavioral therapy (DBT), meditation practices, and motivational interviewing. As with other AI-based programs, Wysa continues to collect data as you chat in order to more accurately read and meet your behavioral and mental health needs. You can use Wysa anonymously, similar to WoeBot. Although the chatbot service is free, the company that developed Wysa suggested that you can also purchase a monthly subscription that would allow you to interact with a human Wysa coach. Another artificial intelligence platform used for mental health care, Tess is described as "a psychological AI that administers highly personalized psycho-education and health-related reminders on demand." Tess is used through text-based messaging conversation, like the others. The program can be accessed through Facebook Messenger, texting, web browsers, and other platforms convenient to the user. The collection of data through consistent messaging allows Tess to determine appropriate responses and offer helpful information and guidance that is relevant to your struggles. It is described as using artificial intelligence to be able to adapt to the user's personal needs and goals. X2AI, the company that developed Tess, states that this program is not intended to replace clinical therapy, but designed to be used as additional support in the treatment process. The interventions of Tess, like the others described so far, are influenced by the framework of cognitive behavioral therapy. How Do These Resources Help With Depression? It is described in the model of emotionally focused therapy that an emotionally safe person is accessible, responsive and engaging. 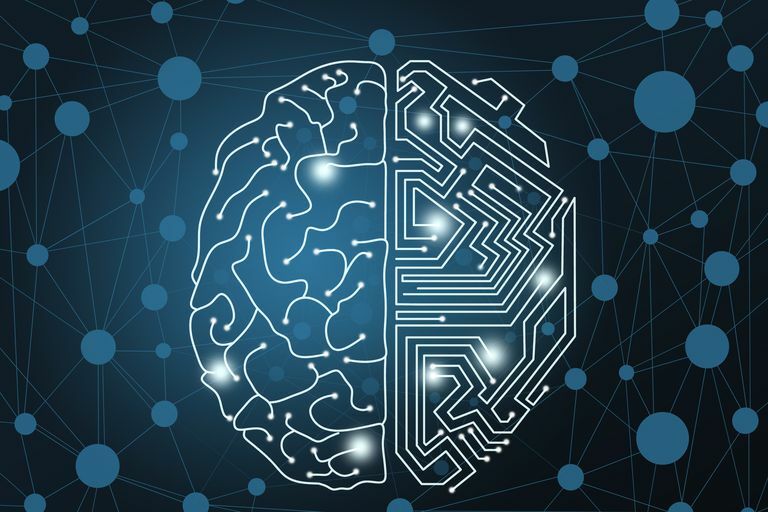 Researchers and programmers in the field of artificial intelligence are working diligently to bring those same qualities to technology-based mental health care. Tess, WoeBot, Wysa, and other similar programs are offering accessibility by being available for use 24/7 at little to no cost to the user. Artificial intelligence is allowing for these programs to collect necessary data that allows them to create a level of therapeutic rapport with its user, and offer relevant responses as the conversation continues. The level of engagement continues to develop as the program learns more about you, collects more data, and is able to detect and meet the emotional needs of the user. Many people value their privacy and, at times, enjoy the anonymity that technology can provide. When considering the sensitive and personal nature of the content often shared in counseling and therapy, it is understandable that programs using artificial intelligence in this way can be a significant benefit in the field of mental health care. Remote areas lacking providers, stigma associated with seeking help or fear of reaching out when we are hurting are all barriers working to be removed as the field of artificial intelligence continues to develop these personalized resources. Remember, although the resources using artificial intelligence can be helpful, they are not intended to take the place of professional clinical mental health treatment.